It is essential for us to hop on the latest trend. You might have missed out on a lot of opportunities in the past, or caught up with the bandwagon late only to realize its getting outdated soon. Bummer! Today, the digital era has opened many possibilities, where newer and emerging technologies are out doing the presently available technologies. But here’s your chance again, the five technologies that are ready to sweep you off your feet. “But this is just the start. After games, we’re going to make Oculus a platform for many other experiences. Oculus VR is the latest virtual reality platform that let’s you play stereoscopic games for now. This may be surprising for many people who think, why would facebook buy a Virtual Reality gaming device company, Facebook being a company that focuses only on communication. Well, with Oculus the possibilities are endless. Picture this, You’re away from your family or loved one. But Skype-ing or Whatsapp-ing everyday just isn’t enough. How about we take it up a notch higher? . Add a really amazing virtual world and meet your loved ones there. Secondlife has been doing this. But Oculus VR can enhance this experience. Leap motion can make it even better. Which is why Facebook saw this as an opportunity and bought it out. 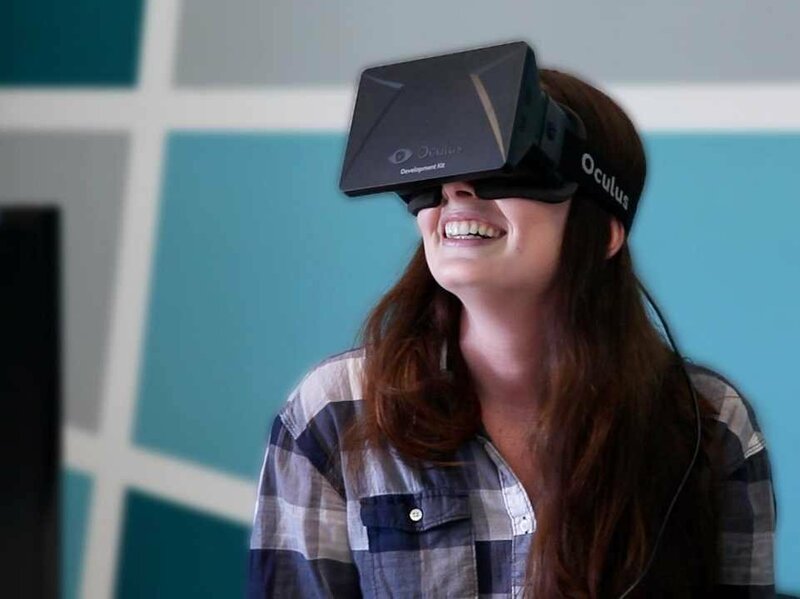 Take a lead and You could create this app for Oculus where people can meet from afar. Or do something out of the box. Your call. Apple’s new programming language for developers of Cocoa and Cocoa touch. It makes the whole experience of writing the code a lot easier and fun. Swift as the name suggests lets you create apps that are swift and helps eliminate bloated code lines. And it works alongside Objective C. Swift Playground let’s you see your code perform in real time, the function of every line of code can be shown then and there simultaneously without delay. If you are having your iOS apps developed, it better be in Swift code. It’ll save you a lot of effort and time. We can stop envying Tony Stark for all the gadgets he’s got. Wearable technology is an avenue that’s opening up in the recent years into the shelves of consumer electronics. Google Glass, iWatch, Moto 360, and the list goes on. These devices can make our life easier to an extent, they are simpler, intuitive and will garner a large user base over the years to come. Php 7 is also dubbed as PHP Next Gen. It addresses a lot of security and performance issues the current version of Php version exhibits. Php 7 with Zend engine has been tested and shown to increase the performance of Php based applications to over a 100%. In the coming years, If you are planing on building mission critical applications for Php 7, it would actually boost it’s performance. Php 7 is touted to be released in 2016. It’s a good idea to catch up with some online Php7 tutorials early on. Internet of Everything and Wit.AI. Internet of Everything is a term used to describe that all the devices that are at your home or office, right from your lights to the generator can be synced and controlled by you sitting anywhere in the world. Simply put, Internet of things concept converges all the major technologies to a single point of control. Wit.AI is an API which let’s you build a voice interface for your app, that can perform actions like setting the temperature in your thermostat to switching off the lights. You can even use text command to control everything through your app. Amazon launched Echo, a speaker that listens to what you say and does some basic tasks for you like searching the internet for answers, playing music, weather report, etc. Share it with your friends today, so they don’t miss out on the trend early. Previous article3 amazing future technologies that are starting out right now.